Want to go to a dance festival on the south coast that offers something more unique than Mutiny Festival or Southampton Soundclash? Year two; following the success of 2014, the south coast will see the return of the Somerley Tea Part at the end of May. A one day dance festival raising the bar for underground music with Seth Troxler, Âme, Dusky and Boddika taking to the stage. 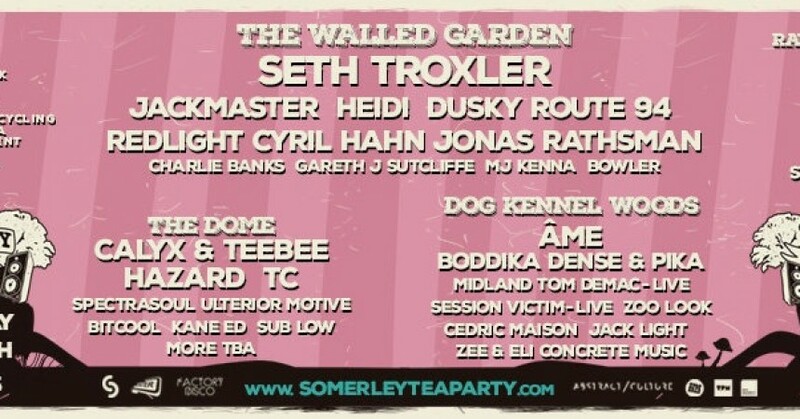 Somerley’s five stages will cover house, techno, drum & bass and jungle. It’s not just about the music though, STP have collaborated with Arts Institute Bournemouth, Secret Wars and Technicolour Moon to make sure live Art adds another quality angle to the event. STP’s attention to detail will not go unnoticed either. Teams responsible for Secret Garden Party’s ‘The Drop’ and ‘Love Saves The Day’ have been asked to take care of creating the event. Adding to the event, STP have been granted an extended licence until 2am, offering 14 hours of unique dance experiences set in the New Forest. And for those footy fans out there, 2015’s FA Cup Final will be shown on STP’s big screen. Tickets are going quickly so get yours now at http://www.somerleyteaparty.com so you don’t miss out of the best, bohemian and unique dance experience on the south cast.